This Christian Brother spent his Missionary vocation in France, Zanzibar also Haiti. Owen Mc Sweeney was born during 1845 near Castlebar in Co. Mayo. 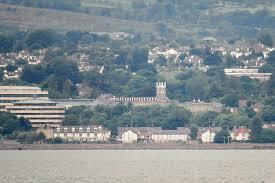 During March 1863 Owen entered Blackrock College (perhaps as a result of an advertisement for Christian Brothers in the local paper by Père Leman). 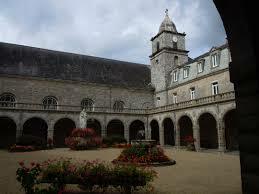 Mc Sweeney went to the novitiate in Chevilly the following year. He was professed then given the name Edmond. For ten years Bro. Edmond was posted to St Mary’s, Trinidad. 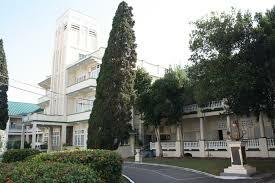 His next appointment was to the Spiritan College in Reunion. With the closure of the college in 1878, Bro. Edmond was transferred to Zanzibar for a short period. During much of his Bro. Edmond spent time at various houses of the Congregation in France: he served in succession at Langonnet, Langogne, Rambevilliers, Cellule, Chevilly and Epinal. As a teacher of English during 1893 Bro. Edmond was assigned to St Martial’s, Haiti for several years. He returned to France at Mesnières College: later with the closure of the College (as a result of Combe’s persecution) in 1904 he was transferred to Ireland to Rockwell College. The demise occurred of Br Edmond on March 6th 1918: he was aged 73 years. He is buried in Rockwell.